Welcome to the catalog of my hobby. My collection of poker chips has grown quite a bit over the years. 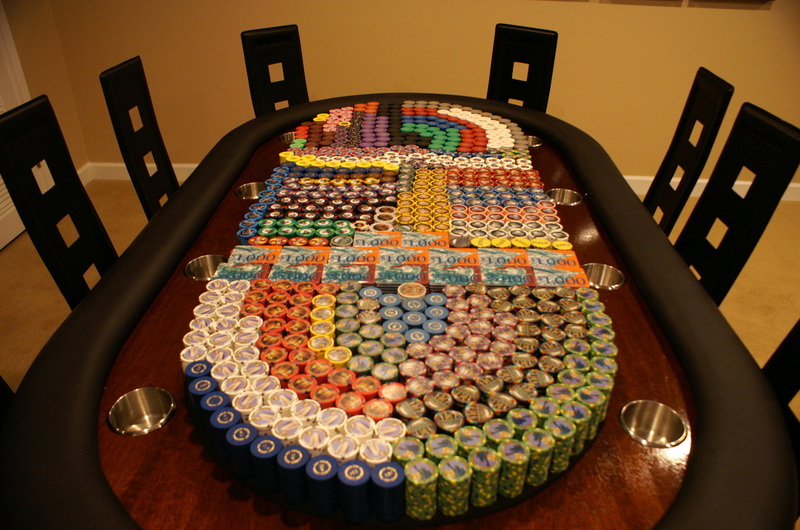 The "ALL ABOUT CHIPS" page has information about the materials, molds, colors, edge spots and inlays of poker chips. If you are curious about the how chips are designed, check out this page. Click here to go to the "ALL ABOUT CHIPS" page. The "INDIVIDUAL CHIP" page has my collection of individual chips. There are three sections...the first is a collection my Chiptalk.net friends' custom chips, the second is live and obsolete casino chips, and the third section is quite a few examples of obsolete home market chips. Click here to go to the "INDIVIDUAL CHIP" main page. The "CHIP SET" page has my collection of playable poker chip sets. There are also pictures of other sets I owned in the past and subsequently traded or sold. Click here to go to the "CHIP SET" main page. 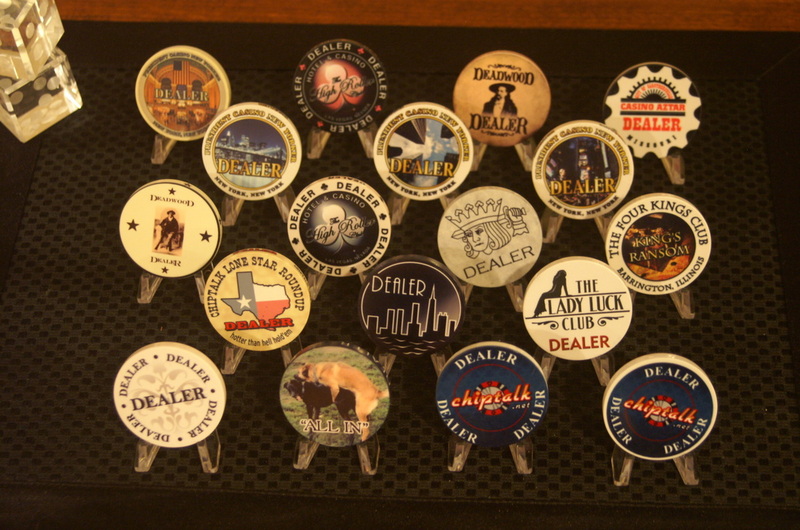 The "DEALER BUTTON" page has my collection of custom dealer buttons. Dealer buttons are passed around the table at a poker game to designate the dealer. Click here to go to the "DEALER BUTTON" main page.